Defender Jalen Smereck will be playing closer to home and donning the blue and orange of the Flint Firebirds after being traded by the Oshawa Generals. In exchange for the Michigan native, the Gens received a trio of draft picks. 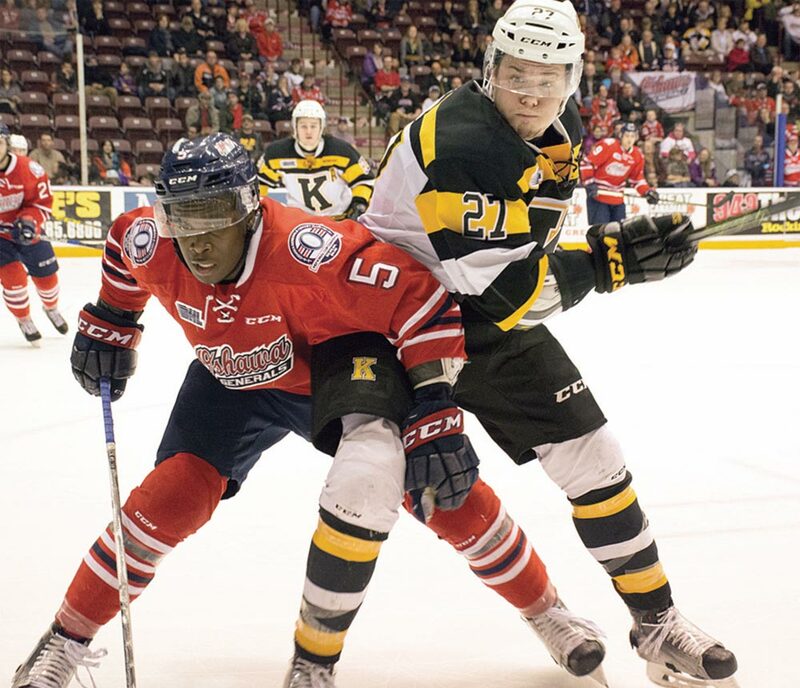 The Oshawa Generals have taken further steps to replenish its draft cupboard after dealing defenseman Jalen Smereck to the Flint Firebirds for a trio of draft picks. Smereck will be returning to his home state of Michigan in exchange for a second round pick in 2018, and fourth round picks in both 2017 and 2019. And while Oshawa was in the market for picks, former Gens assistant coach Eric Wellwood, now behind the Firebirds’ bench, may have also played a part in targeting the strong defensman. “They came with a real big push,” says Roger Hunt, the Oshawa Generals’ general manager. Smereck ranked second among fellow blueliners in Oshawa with 25 points in his first season in the Ontario Hockey League. And while the Generals were previously looking at a surplus of left-handed defenseman, Hunt admits there will be a slight hole in the lineup for the time being. However, it is not something the club will have trouble filling. “We’ve got two months to see what we can do, and the start of the season to see where guys have developed,” Hunt says. Those players being recently drafted Florida Panther Riley Stillman, and veteran blueliner Mitch Vande Sompel, drafted last year by the New York Islanders. “It’s not something that we ned to rush to fill,” Hunt says.